Do Not Track has seen a lot of press in the last few months as more web users are becoming aware of just how web sites track their movement across the web. 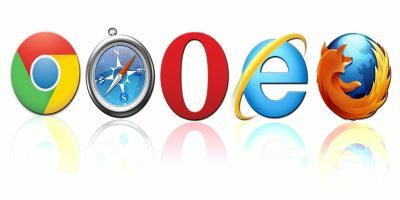 Most browsers, Firefox and Chrome included, offer a “Do Not Track” feature that tells web sites not to follow you around. However, several web sites ignore this direction and continue to follow you anyway. Why do web sites ignore Do Not Track? The more information a web site has on you, the more it can come up with ways to lure you to keep coming back. Do Not Track was a simple way to let Internet users control what lengths web sites go to track you around the web. However, not all web sites adhere to this rule. Certain high profile web sites, such as Google and Facebook, routinely ignore the Do Not Track settings when turned on. 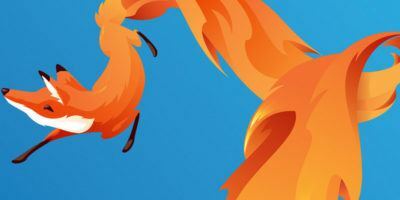 With tools like Google Privacy in Firefox, you can take steps to ensure your privacy is respected. 1. 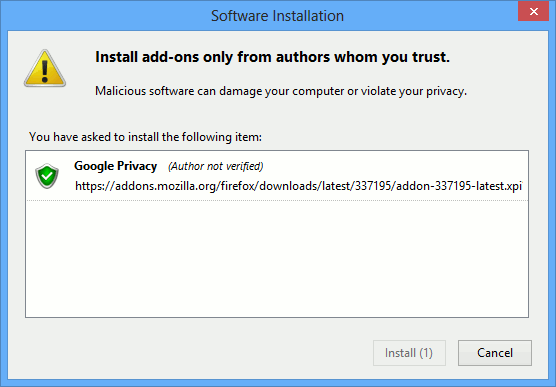 Install Google Privacy in Firefox here. Click “Add to Firefox” to start the process. 3. 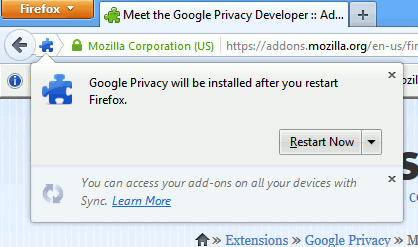 A few seconds later, Google Privacy will install itself and you will be prompted to restart Firefox. 4. 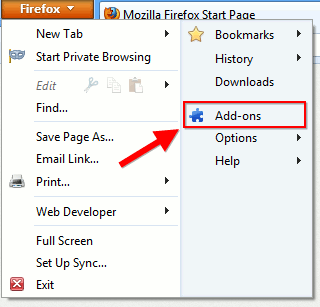 After restarting, click “Firefox” in the upper left corner to open the browser’s menu. 6. Click “Options” for Google Privacy to open the settings for the add-on. 7. 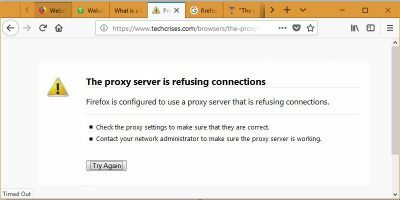 Google Privacy’s options allow you to choose how your browser interacts with web sites who ignore Firefox’s Do Not Track settings. 8. 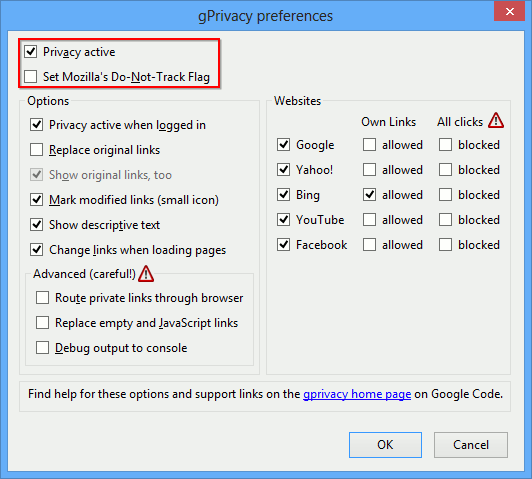 Make sure that Privacy active and Set Mozilla’s Do-Not-Track Flag options are checked. This will turn on Do Not Track in Firefox as well as making sure the Google Privacy add-on is turned on. 9. Under the Websites options, you want to ensure all web sites that ignore Do Not Track are checked. 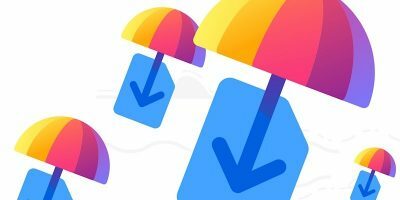 This will let Google Privacy generate clean links to follow. You can choose whether to block all links from these web sites which will keep you safe from tracking. You can also allow all links which will not block tracking-based links when you visit these sites. If you choose neither option, you will be able to choose between which links to follow. 10. The options for Google Privacy let you automatically start the add-on when you begin a browsing session. You can replace original links all together, too. 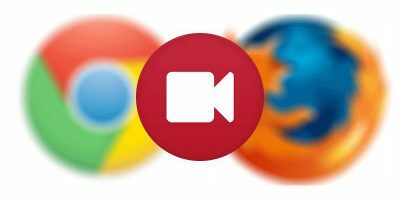 This will automatically convert links at a web site ignoring Do Not Track in Firefox with clean links. 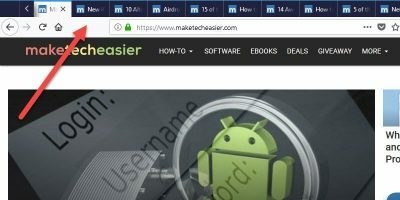 You can mark links to showcase whether they are safe to follow or not with a small icon as well as indicate whether the link is private or not when you hover over it. As you get more familiar with Google Privacy for Firefox, you can change these settings to make Google Privacy less intrusive. 11. For the most part, the Advanced options in Google Privacy can be ignored for the majority of users. 12. 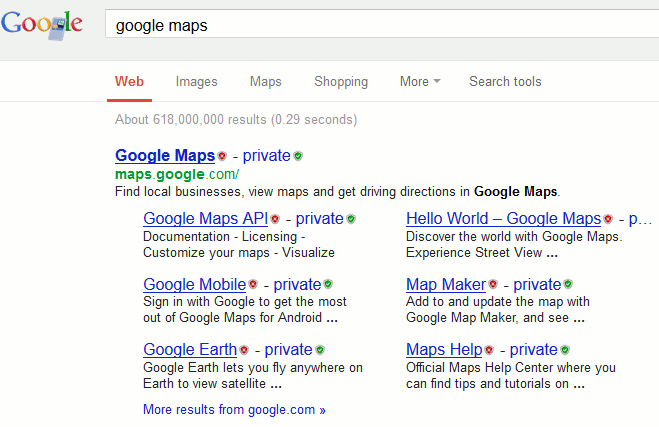 Head to Google and search for “Google Maps” to see how Google Privacy works. 13. The red marker indicates a link is violating Do Not Track. 14. The green marker indicates a link is safe to follow. While certain web sites ignore Do Not Track, with tools like Google Privacy, you can take more control over keeping your activities online private. 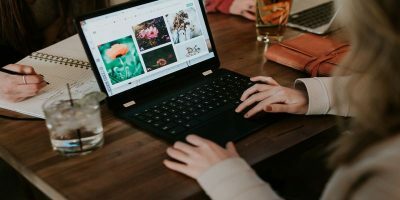 What other tools are you using to protect your privacy online? I love Ghostery, too. It offers a lot more features and really lets users see the big picture when it comes to tracking online. I use abine.com’s Do Not Track Me…. I’ve used Do Not Track Me, too. I love that you can see what is tracking you so you know what web sites are following you around. Texting While Driving: Should Phones be Inoperable in Cars?